Spirits are high as Ted Judy (far left) is joined by several travel companions for the second leg of his Colombian expedition. “Week two of this Colombian adventure begins in Bogota, where Jeff Cardwell, Vin Kutty, Eduardo Gomes, Hernando Gil and I board a plane to fly east to the city of Puerto Inírida, and the confluence region on the border between Colombia and Venezuela. The flight is a quick one-and-a-half hours, and it crosses the southern section of the Llanos along the path of the large whitewater Rio Guaviare, one of four rivers that come together near Puerto Inírida. Two rivers, the Rio Inírida and Rio Atabapo, flow with black acidic water. Those three drainages empty into the mighty Orinoco, the second largest river system in South America. 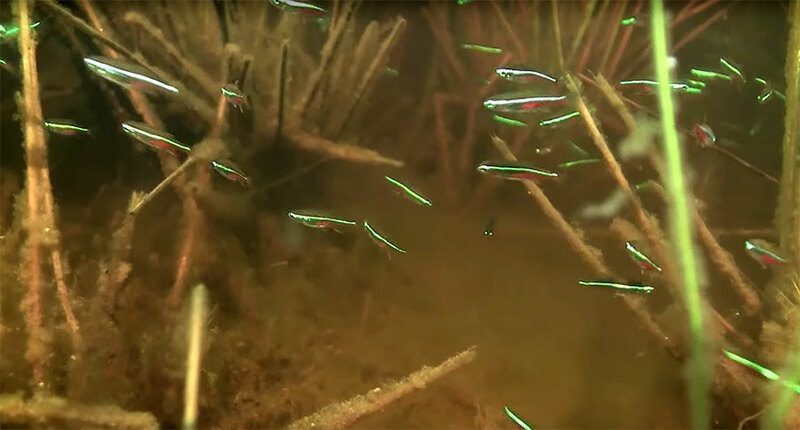 A small tetra species encountered in this episode; can you ID it? Watch the video below to see if you’re right! “The ecology of this area is tropical forest, though not consistently wet enough to be considered a rainforest. The temperature is hot, the air is humid, the sun is bright, and I love it. “Puerto Inírida is a river port city on the southeastern bank of the Rio Inírida. During the wet season the waters of the Inírida and Atabapo are high enough for large cargo boats to travel deep into the back country, but as the rivers drop in the dry season, the upper reaches become inaccessible. We are here when the water is high, and the port is humming. “The city is small and clean. The people are friendly and used to tourists. Many people come from around the world to Puerto Inírida to explore the natural wonders of the area, which is what we have come to do as well. Our home while we are in town is the Toninas Hotel, located on the main drag to downtown Puerto Inírida. The rooms are comfortable, some have air conditioning, and all have cold running water. The $25 per night rate includes breakfast, and there is even an aquarium and garden pond with local ornamental fish. 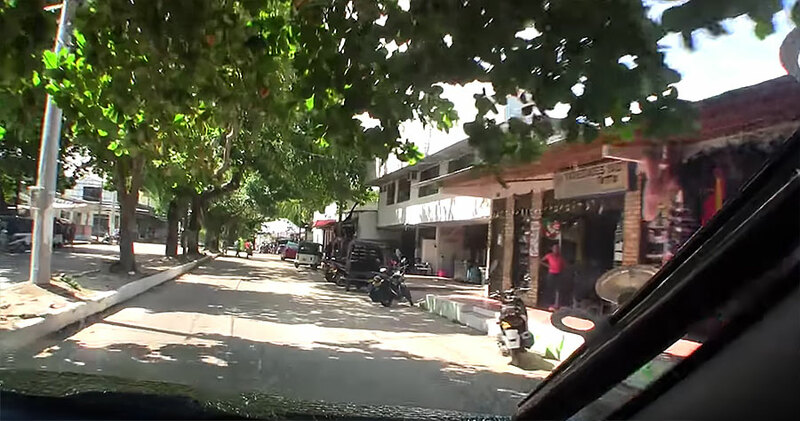 Ted and the team taking a drive through the streets of Puerto Inírida. “Well, here we are in the town of Puerto Inírida. We’ve been here for about an hour and a half or so. We’ve checked into the hotel, we’ve had a very nice lunch. We were going to get on the boat this afternoon and go out on the river, but that’s not going to happen today, and probably not early tomorrow either, because there is no available gasoline anywhere in the town of Puerto Inírida. 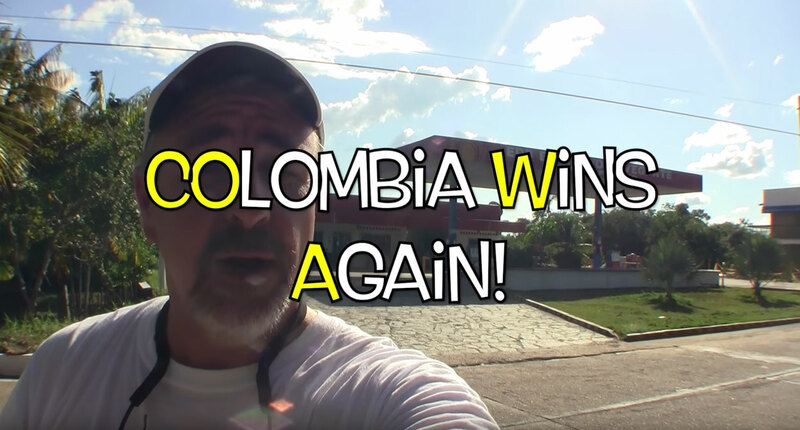 That’s what happens out here on the Colombian frontier – COWA (COlumbia Wins Again)! COWA! COlombia Wins Again, a now-recurring theme as the expedition continues to come up against obstacles one might never expect in other parts of the world. Before even making it to their intended destination, the team takes yet another detour. Ted Judy and his expedition companions depart for Caño Vitina, only to be sidetracked by an ephemeral marsh teeming with aquatic plants and interesting fish. 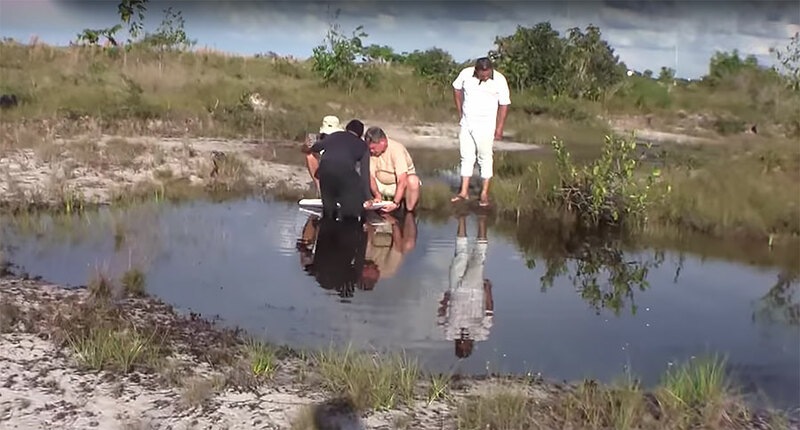 You’ll have to watch to see what they found!